EdTech Blog Mystery Animal - a Class-to-Class Guessing Game! 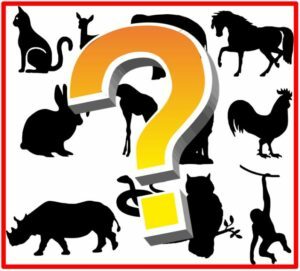 Mystery Animal – a Class-to-Class Guessing Game! Connecting class-to-class can be beneficial for everyone who participates. In this game, students can use deductive reasoning to give and answer questions while interacting with another class. Mystery Animal is a guessing game in which students play against each other to figure out the other class’s “mystery animal.” Students can only use “yes” or “no” questions to get clues to determine their guess. The students may be limited to 20 questions (so that the game doesn’t last forever.) Students “win” by guessing the Mystery Animal. Find another class to play with – you can start small (within the district) or go worldwide! Many players use Skype or Google Hangouts to play. Agree on a day and time to meet – Games can take 30-45 minutes to play. If you are playing nationwide/worldwide check your timezones! I use TimeandDate.com’s Time Zone Converter to check before finalizing to the connection. “I want to play but don’t know who to connect with…” – My advice is to start small, but if you want to reach out to other educators there are different educator groups (example: Twitter, Google+, or Skype in the Classroom). If you want assistance, contact a Technology Interventionist. Check your camera and microphone connection – If you need help with this, a Tech Interventionist can assist you. Choose your class animal – Try and choose an animal that is not too broad (ie “Bird”) but not too specific (“Blue and Gold Macaw”). In this case, Parrot might be a good choice. Another example might be using Tiger, rather than “cat” or “Siberian Tiger.” Think of an “Ambassador animal”; one that is universally known. Hang up a helpful reminder – Put a picture up of your animal out of camera sight before playing so your students can reference this when answering the other class’s questions. Each class will take turns asking “yes” or “no” questions. Answer responders – They answer the other class’s questions about their animal. Mystery Games can be a fun way to practice what students know about a number of subjects such as geography, animals, or numbers. It puts the students in charge of asking questions and finding their answers. If you are interested in playing, contact a Technology Interventionist and we may know a teacher that is interested in playing. Did you know you can practice playing against Google? The Mystery Animal with Google game is meant for a Google Home unit but you can preview it on their site. I’ll be honest, the Tech Coaches didn’t get a ladybug the first time through but we did get a dolphin later! The voice does make different question suggestions you can ask it – but as a warning it can be a little sassy with its answers from time to time.